There is an increasing interest in nootropic drugs for the treatment of CNS disorders. Since the last meta-analysis of the clinical efficacy of piracetam, more information has accumulated. The primary objective of this systematic survey is to evaluate the clinical outcomes as well as the scientific literature relating to the pharmacology, pharmacokinetics/pharmacodynamics, mechanism of action, dosing, toxicology and adverse effects of marketed and investigational drugs. The major focus of the literature search was on articles demonstrating evidence-based clinical investigations during the past 10 years for the following therapeutic categories of CNS disorders: (i) cognition/memory; (ii) epilepsy and seizure; (iii) neurodegenerative diseases; (iv) stroke/ischaemia; and (v) stress and anxiety. In this article, piracetam-like compounds are divided into three subgroups based on their chemical structures, known efficacy and intended clinical uses. Subgroup 1 drugs include piracetam, oxiracetam, aniracetam, pramiracetam and phenylpiracetam, which have been used in humans and some of which are available as dietary supplements. Of these, oxiracetam and aniracetam are no longer in clinical use. Pramiracetam reportedly improved cognitive deficits associated with traumatic brain injuries. Although piracetam exhibited no long-term benefits for the treatment of mild cognitive impairments, recent studies demonstrated its neuroprotective effect when used during coronary bypass surgery. It was also effective in the treatment of cognitive disorders of cerebrovascular and traumatic origins; however, its overall effect on lowering depression and anxiety was higher than improving memory. As add-on therapy, it appears to benefit individuals with myoclonus epilepsy and tardive dyskinesia. Phenylpiracetam is more potent than piracetam and is used for a wider range of indications. In combination with a vasodilator drug, piracetam appeared to have an additive beneficial effect on various cognitive disabilities. Subgroup 2 drugs include levetiracetam, seletracetam and brivaracetam, which demonstrate antiepileptic activity, although their cognitive effects are unclear. Subgroup 3 includes piracetam derivatives with unknown clinical efficacies, and of these nefiracetam failed to improve cognition in post-stroke patients and rolipram is currently in clinical trials as an antidepressant. The remaining compounds of this subgroup are at various preclinical stages of research. The modes of action of piracetam and most of its derivatives remain an enigma. Differential effects on subtypes of glutamate receptors, but not the GABAergic actions, have been implicated. Piracetam seems to activate calcium influx into neuronal cells; however, this function is questionable in the light of findings that a persistent calcium inflow may have deleterious impact on neuronal cells. Although subgroup 2 compounds act via binding to another neuronal receptor (synaptic vesicle 2A), some of the subgroup 3 compounds, such as nefiracetam, are similar to those of subgroup 1. Based on calculations of the efficacy rates, our assessments indicate notable improvements in clinical outcomes with some of these agents. The authors thank Dr Allan Kalueff who is affiliated with the Department of Pharmacology, Tulane University School of Medicine, New Orleans, LA, USA and Dr Nasi Samiy who is with the Retina Institute of the Carolinas and The Macular Degeneration Center, Rock Hill, SC, USA, for their critical reviewing of the manuscript. 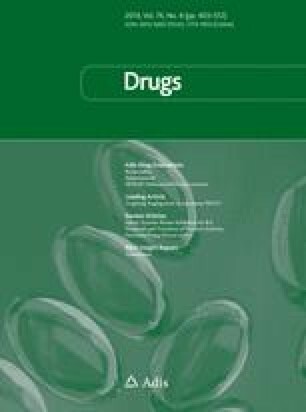 The authors have no financial relationship with and did not receive funds from companies developing and marketing piracetam and related products or their competitors. Explanation of attributable percentage improvement rate (APIR) calculations. where Bp and Bt are placebo and test agent baselines, respectively, P is placebo and Tx is the test agent, to estimate the percentage improvement rates. The APIRs, or the composite mean values, were calculated for the outcome measures that were significant (p ≤ 0.05). For example, in the study by Holinski et al. (table IV), score values decreased in both test and placebo arms, compared with baseline. The effect of the test agent resulted in lesser decline. The overall cognitive function score at baseline was 0.06 ± 1.02 and −0.06 ± 0.99 in the test and placebo arms. The outcome measure values were − 0.65 ± 0.93 and − 1.38 ± 1.1, correspondingly. In the study by Batysheva et al., for example, the activity test score was 34.6 ± 1.34 at baseline and 29.5 ± 1.43 after the treatment. Percentage standard deviations (± SD%) were calculated based on three values: APIR ‘low’, APIR ‘mean’ and APIR ‘high’. Lower limit value = test score mean value − SD; upper limit value = test score mean value + SD.